I have learned how NOT to organize my photos after adopting systems from other photographers to organize my photo library. In this video I show what that has taught me, and the new method I am using now after my own trial and error. Will my current method change again? Probably. What I think is important is that you should determine your WHY which will then inform HOW you organize your photos. 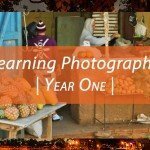 Where do you get your Photo Education? 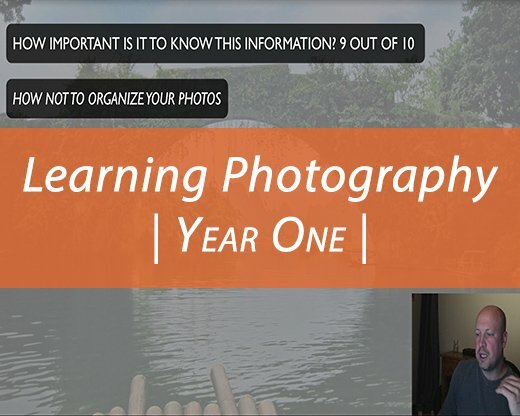 Most photographers who have any kind of success or social media following are selling tutorials about how to organize your photos. I think that is awesome! Wait, what? Isn’t that exactly the opposite opinion from what this video is about? Nope! Okay, let me explain. If you are successful at what you do, you deserve to be able to sell your hard earned knowledge to people who want to learn from you. I want to make that clear right away! 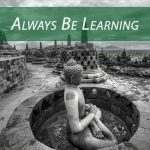 I have purchased tutorials and videos from a number of photographers. Sometimes I actually learned what I was hoping to. Sometimes the method they taught was not something I would ever use. I purchased the video because I admired their work or because someone else recommended it. I’m not saying you shouldn’t purchase lessons and tutorials. In my experience they won’t all to be the revelation that you’re hoping for. I’m going to assume that if you’re actually reading this, you are not a casual photographer who only shoots on vacation and family events. Even if that is your speed, everyone needs an organization method of some sort, and I think you’ll find my experience helpful there as well. 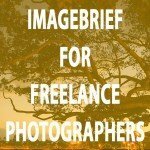 Working commercial, event or editorial photographers make thousands of photos in a week or a month. Whatever end of that spectrum you fall on, the next step is to decide how you will do something meaningful with the images you are collecting. How I organize photos from projects or travels is extremely important. This part of my “workflow” makes a huge difference in how well I can stick to a publishing schedule, how frequently I actually edit and publish images, and how much I enjoy working in my photo library. To be honest, my workflow is pretty sad right now. I don’t publish, edit photos, or work with my backlog as often as I would like. Right now, I prefer to arrange photos into collections or folders by my intended output. That’s always been true, but the output goals aren’t as clear cut when I’m making photos for my personal enjoyment. When I used to shoot commercially and had thousands of photos to review and select client deliverables from, I didn’t use Lightroom which is my example in this video. I like Lightroom for my personal library because I can easily create multiple versions of the same image in different collections without taking up extra hard drive space. That allows me to change my mind on how I organize images into projects for web, social, print, etc without losing any or forgetting which folder I put what image in. Seriously, I used to lose photos frequently when I tried managing thousands of images just in a folder structure. 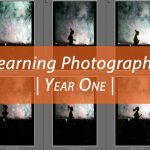 When I had to review and cull thousands of photos more often I used something like Photo Mechanic or I would have loved to have something like the new OnOne Photo Raw which for my money is the best “simple photo editor” available. Even Adobe Bridge is a good way to review and select photos stored in folder systems. Those are good methods when you know what brief you are filling and the photos just go in one end and out the other. At least that’s my experience. Are you enjoying your photography? When I started shooting for my personal collections and projects, I thought that I could just copy a system from other photographers I admire, and my new workflow would just magically fall into place. Ha! True to every other experience in my life, I had to put in the personal time to try different methods before arriving at something that made sense for me. Photography educators can only point you in a direction. They can never give you their personal “recipe for success” — their creative vision or how to make a living as a photographer — because that path is very different for every person. If you have money to burn, you can continue purchasing every tutorial you come across. Maybe one of them will be just right for you and fulfill all your hopes and dreams. More likely, you will end up making a mess of your photos, getting frustrated that being a creative is so much work and maybe put your camera in the closet for a decade or more. Don’t become disillusioned with all of the photography education bombarding you every day. Just dig in, and enjoy this part of the process as much as you do making and editing the photos. Discovering your own path is a reward in itself, and nobody else can reveal it for you.